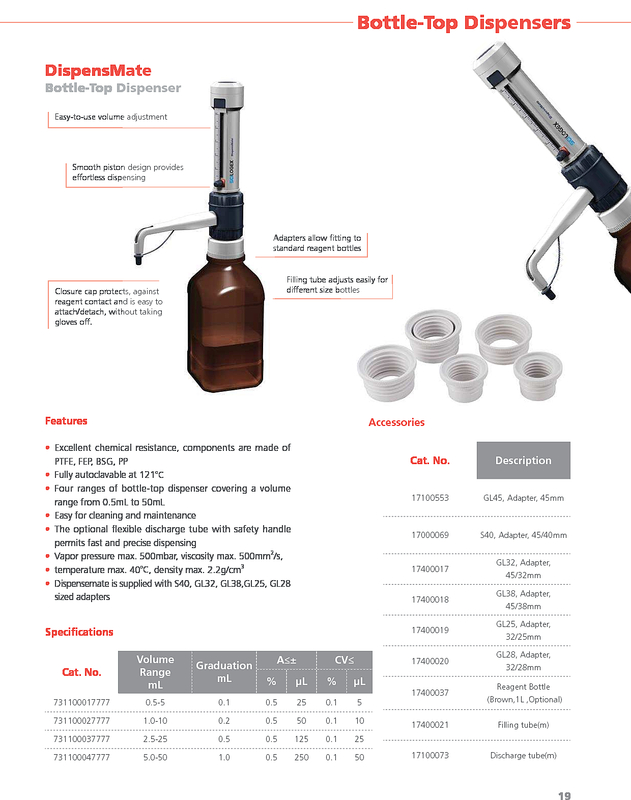 The iTrite Bottletop Burette provides accurate, precise, safe and convenient bottletop titration. Titrations from 0.01ml to 99.99ml are simply controlled by the touch screen display module. A magnetic stirrer is included in the package which connects to the TFT display module via USB, providing excellent mixing during the titration. Choose from either the fixed position titrating nozzle or the included adjustable titrating nozzle with flexible tube. A recirculation feature minimizes waste when priming. A corded remote control is also included. The iTrite is totally portable and can be recharged in 4 hours providing approximately 5 hours usage. Altenatively the power adapter can be used for uninterupted use.